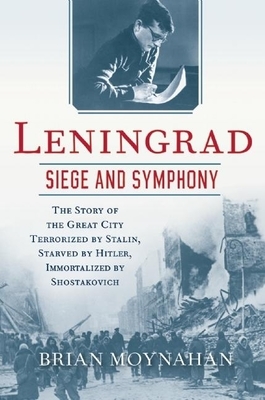 In Leningrad: Siege and Symphony, Brian Moynahan sets the composition of Shostakovich's most famous work-his seventh symphony- against the tragic canvas of the siege itself and the years of repression and terror that preceded it. Using a wealth of new material, Moynahan tells the story of the cruelties inflicted by Stalin and Hitler on a city of exquisite beauty and rich cultural history, and the symphony that inspired its survival. Brian Moynahan's books include the much-praised William Tyndale: If God Spare My Life. As a foreign correspondent, he covered fighting in the Far and Middle East and Africa, and was latterly the European Editor of the London Sunday Times.